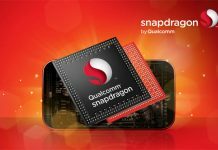 Qualcomm announced some impressive features of Snapdragon 820 chipset today, and now has made an official announcement of Quick Charge 3.0. 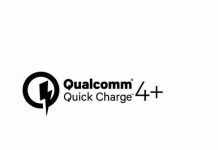 The features of Quick Charge 3.0 seem pretty promising as the new version can charge your device almost 27% quicker than Quick Charge 2.0 and holds nearly double speed than Quick Charge 1.0. 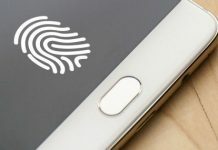 Now, the Android devices can be charged from nil to 80% just within 35 minutes. It is simply great news for those Android users who want to charge their phone in a hurry. In addition to speeding up the process of refilling your battery, Quick Charge 3.0 features an algorithm that saves energy during those quick-recharge sessions. Compared to its immediate predecessor, it loses almost 45% less power during the charging process, which makes it 38% more efficient. Another great feature is that this version comes with the INOV or Intelligent Negotiation for Optimum Voltage technology, allowing you to choose the exact voltage you want. With Quick Charge 2.0, you can charge your device at four different voltage levels – 5V, 9V, 12V, and 20V. However, the new version allows you to choose any voltage level between 3.6V and 20V, with 200mV difference at each point. 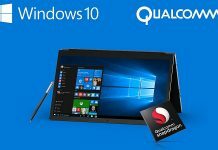 It will effectively reduce the risk of accidental overheating of your device. 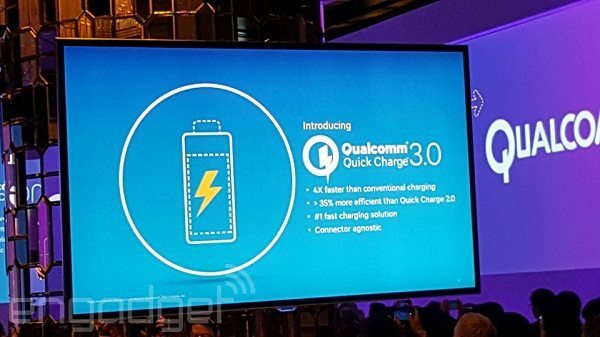 Quick Charge 3.0 will support its predecessors and various charging connectors including the USB Type-C. 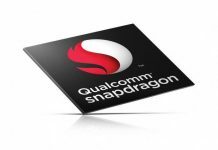 Along with a group of Snapdragon chipsets, the charging device will possibly be launched next year.